Over the last few months, a man familiar to longtime wrestling fans has resurfaced on the scene. 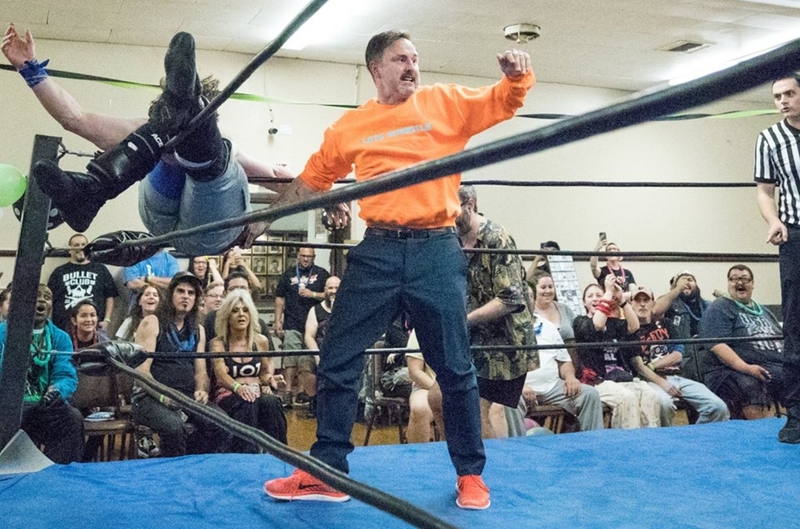 Former WCW World Heavyweight Champion David Arquette has been training tirelessly at the UWN International WrestleCenter for a return to the squared circle. To many, Arquette is known as the actor who starred in movies such as Scream and Ready to Rumble. To wrestling fans, however, he was one of the most controversial figures of World Championship Wrestling. Although he had already been acting for several years, David Arquette rose to prominence as Deputy Dewey in the popular 1996 thriller, Scream. Four years later, Arquette starred in the wrestling-centric movie Ready to Rumble alongside WCW superstars Diamond Dallas Page, Sting and Goldberg. In an attempt to promote the movie, Arquette would begin appearing on WCW television and even started an on-air feud with figurehead Eric Bischoff. WCW was no stranger to having celebrities wrestle on their show at that time. Jay Leno, Karl Malone, and Dennis Rodman all famously wrestled matches in WCW. As memorable as it was to watch these stars wrestle, none of their matches are mired in the controversy that Arquette’s match was. On the April 26, 2000 episode of Thunder, Arquette teamed with Diamond Dallas Page to face Jeff Jarrett and Eric Bischoff with Page’s World Heavyweight Championship on the line. Although this was a tag team match, whoever scored the winning pinfall would be declared Champion. Arquette pinned Bischoff as Jarrett was simultaneously pinning Page, but Arquette was declared the winner and the new WCW World Heavyweight Champion. Outrage ensued as fans couldn’t believe that an actor would hold the same championship previously held by legends like Hulk Hogan, Ric Flair, and Sting. The fact that an actor like Arquette won the championship is still being talked about today. 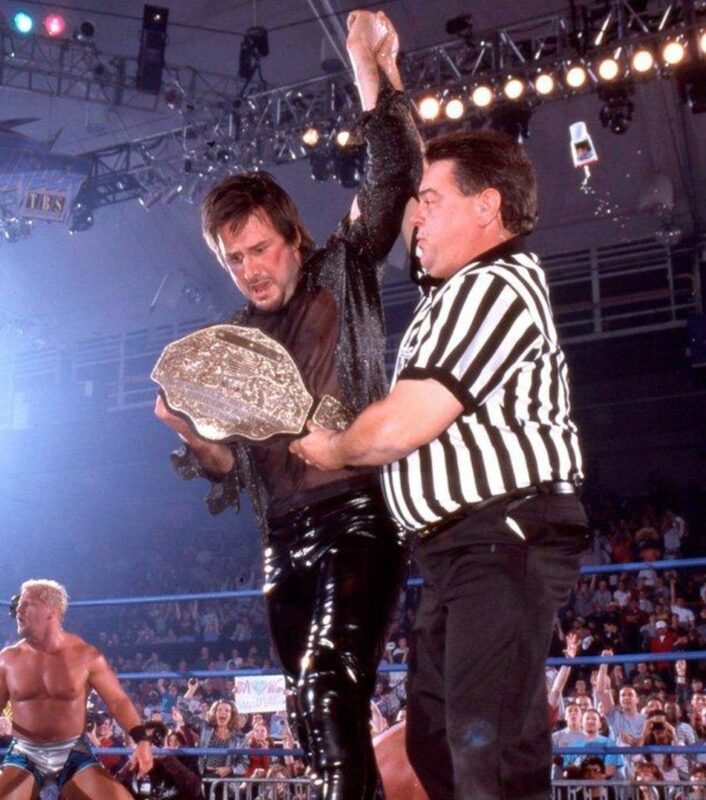 David Arquette being handed the WCW World Heavyweight Championship. After his foray in WCW, Arquette would disappear from wrestling for nearly two decades. This past May, he began training with “Professional” Peter Avalon at the UWN International WrestleCenter. At Peter and Ray’s Surprise! Birthday Party Show, Arquette once again shocked the wrestling world as he interfered in Avalon’s match to attack the RockNES Monsters. 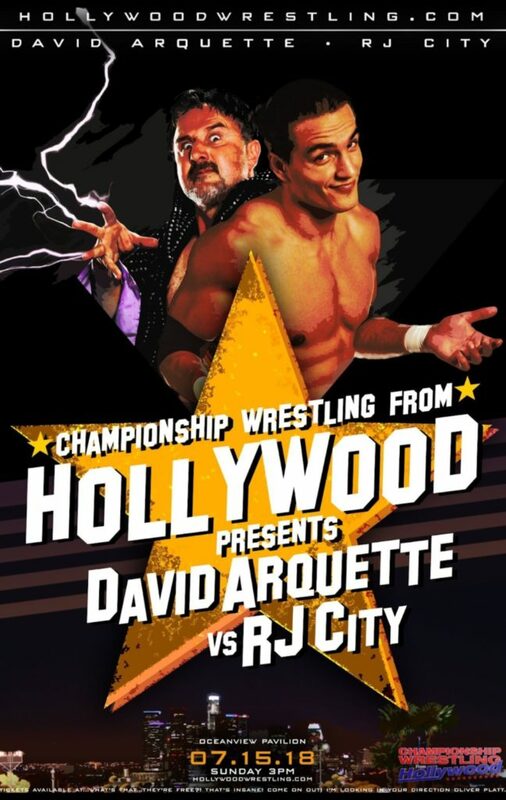 One person who is not impressed with Mr. Arquette is Canadian superstar RJ City. City took to Twitter to laugh off Arquette as an attention seeking fad, but Arquette responded by threatening to beat him up. What started as a harmless Twitter conversation over “who the best Golden Girl is” has now become an ordeal that will end in a violent encounter. On July 15th at the Oceanview Pavilion in Port Hueneme, CA, David Arquette will wrestle in his first match in nearly two decades as he challenges RJ City to settle the score once and for all at Championship Wrestling From Hollywood. This rivalry may have started as a mere Twitter feud, but it will end with one man standing tall and the other laid out on the mat. One thing is for certain, come July 15th, Arquette will be ready to rumble.